Join current senior national security and intelligence analysts for an engaging conversation with former CIA Director John Brennan at the International Spy Museum. This event is part of the museum’s luncheon series and takes place noon until 2 p.m. on May 16. 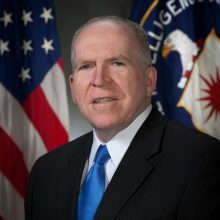 Brennan’s 25-year long career with the spy agency included working as a South Asian analyst, as station chief in Saudi Arabia and serving as director of the National Counterterrorism Center. He was appointed as director in 2013 and served in that position until 2017. Brennan currently serves as senior national security and intelligence analyst for NBC News and MSNBC. Early-bird seats are available until Feb. 28 with prices increasing March 1, so reserve your spot now.